The Mitsubishi Ki-20 design was descended from the German Junkers G.38 airliner. 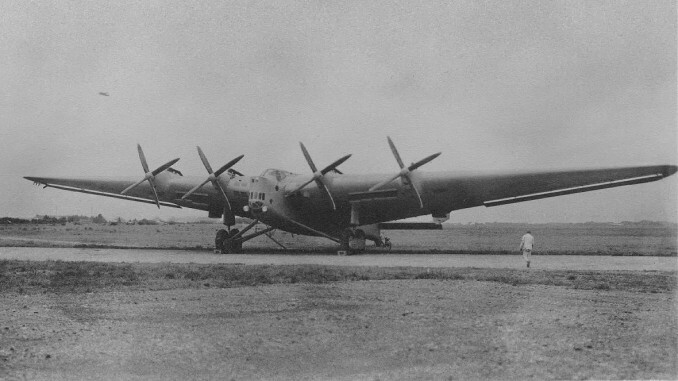 The G.38 was the largest land-based aircraft in the world and it was thought it might make a good heavy bomber. 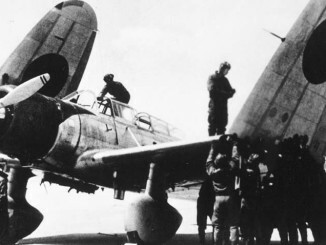 Junkers own design, the K.51, was not accepted by the German military but the Japanese saw enough potential to order two of the aircraft to be built under license by Mitsubishi in Japan. The aircraft were designated as Type 92 heavy bombers in 1932, however due to the need to preserve secrecy they were not assigned a kitai number until 1937. 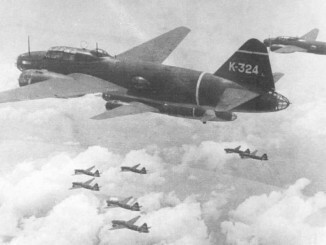 The Ki-20 featured four Junkers Jumo 204 diesel engines, which were also license built by Mitsubishi. These replaced the original Junkers L88 engines that had left the bomber very underpowered. The wings of the Ki-20 were extremely thick, allowing engineers to use a crawlspace to service the engines in flight. The tandem landing gear bogies were non-retractable, as was standard for aircraft of the early 30s. 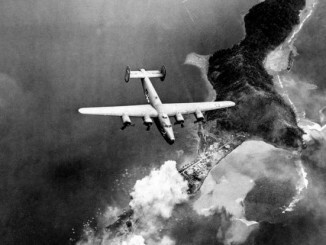 Four additional Ki-20s were manufactured during the 1930s to provide the Japanese Army Air Force with the ability to effectively attack the American forts at the entrance to Manila Bay – Fort Drum, Fort Frank, Fort Hughes and Corregidor Island’s Fort Mills. With the capability to carry 5,000kg of bombs it was thought that these aircraft could reduce the forts with their heavy steel-reinforced concrete construction to rubble. In the end however the aircraft had become obsolete by the time the war began, and so they were never used in combat.